egmat quant is not a better reflection of the real OG questions. I think egmat questions are more influenced by indian examination quant. No comments for math revolution as going by the questions posted it is not such a revolution. I would recommend you to revise basics from manhattan and Official sources. Egmat is good for only verbal . For quant preparation math revolution would be better . Hi I have used both, I may be of help. 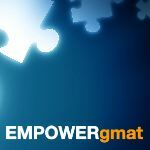 egmat is very comprehensive, I mean if you are aiming to know all the material asked on GMAT (regardless of the score) , go for egmat. It took me more than 3 months to complete all the videos in the quant series. So, egamt quant is an investment - not only in money, but time too! mathrevolution gives you nice little tricks to solve easier questions. It might happen that you dont know anything about the topic asked in the gmat, rather than bluffing, you may use the little tricks to rule out options. I wont elaborate the tricks here as they are indeed peculiar to mathrevolution. If you aim to score more than Q45 - these little trick might not be of help. I will add another variable here - GMATCLUB tests. CHEAP - EFFECTIVE - RELEVANT. Downside: the explanations are sometimes given by experts who assume you know everything about quant. But still, I have tried more than 5 courses (Crazy I know) GMATCLUB tests are by far the best for quant. IMO Target Test Prep is the best course for quant, I believe much better than egmat and math revolution. Egmat is great for Verbal, though. You should try yourself by using free trails of every course. E-GMAT quant is full of unnecessary complications. Not a true reflection, I felt it's a mix of Indian entrance quant classes. Not worth it. What is your current score? Did you use any study materials for quant so far?